Another week, another office party. My team just liked to have food every week, and I'm ok with that. This past week was the holiday gift exchange and lots of chips, dips, eggnog, cookies, cheese, and whatnot. It was fun and festive. If you have not entered, go to Twitter and enter my holiday giveaway - book of choice up to $20 USD, open internationally as long as Book Depository ships to you. I found an end of year Top Ten of 2018 to do this year hosted by Kimberly Faye, and if you follow me on Twitter, you may have noticed that I have been trying to follow what Sophie has been suggesting for Blogmas 2018. Anyone else doing anything special for the end of the year? My daughter sent me this video, and I showed it to my co-worker, and we cried together. So sweet! I always like to keep up with adaptations. Are there any you are excited about? I read no shortage of great books this week. I had four 4 1/2-star reads. 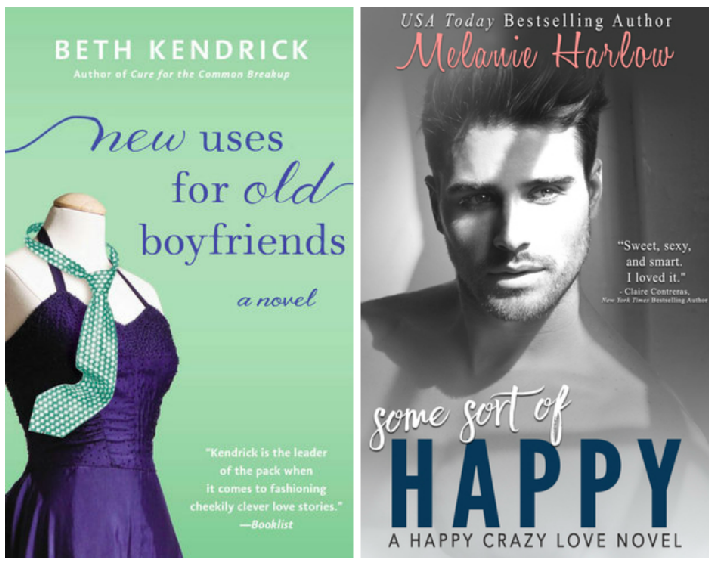 Each book kept me captivated and had me shedding some sort of tears. I mostly just had issues with endings this week. Only one book make me yell an audible WTF, and that was a A Sky for Us Alone, but I still wanted a little more from a few of them. I am finally reading Making Faces. It's one of my oldest NG ARCs. I am not sure why I haven't read it before this point, because I have been wanting to read something by Amy Harmon for so long, and I am glad I finally got it on the weekly TBR. I am at the push and shove point with some of my challenges, and I have been trying to knock a few more off my 50 States challenge via audiobook. I found Riding Lessons was set in New Hampshire. It's a lot heavier, then I thought it would be, but me and women's fiction is hit or miss. I love office days like, with all the food. :) And glad your reads were good this week! I hope you have good luck closing out your challenges here as the year winds down. I have accepted that I will again, not complete AtoZ, and also not complete my 50 states challenge. I tried. Office parties are the best! My works christmas party is next Friday and I am pretty excited for the usual antics to occur... that and we get free food and free booze and it's held right in the middle of all the clubs and bars near me so me and some friends have plans for an amazing night out. We also have a buffet planned at work next week so christmas for me is all about eating too much and loving it. I hadn't seen your holiday giveaway either, what a nice way to celebrate the end of the year. I love the look of the end of year top 10 too. I may have taken a month off from blogging but I was just trying to figure out the best way to wrap up the end of 2018 and that sounds perfect. Now I'm off to cry at that video. Our office doesn't sponsor a party. It's just gatherings our team does, because we have like a private room, since we work in the "secure room". I hope your office party is too much fun, and I cannot wait to read your year-end posts. I love them so much! It sounds like being part of your team is the place to be for good food! I wish I had the space to have more party food and cakes but our freezer is pretty small! There are few people on the team, who are really good cooks too. One woman likes to experiment with recipes, and is always bringing us something delicious to try. My, aren't your coworkers a festive bunch LOL. Again, your working environment is so nice! No, I don't envy you at all (daily commute aside, that is 😉). I feel like my team hardly needs a reason to have a covered dish event. They're a good bunch. That gift was so precious. My heart exploded. I won't be able to complete my A to Z either. This is the second time in a row. Maybe next year. We will be having food and some at work this coming week. It's a small crew and we usually do little things each day leading up to the holiday break. Enjoy all those fabulous books! I should really plan more for my challenges, but I always think because I read so much, SOMETHING will fit. Nice! Sounds like a good place to work with all the celebrating and food! Lol! We had a holiday party on Friday which I went to for a little bit as my mom was trying to bake holiday cookies and I was helping her out as much as I could by baking others! Nice new reads too! Totally new to me ones! I hope you enjoy each and every one of them! Other than the commute, I like my job. Great team, great management team, no stress, and lots of food. I am not a huge fan of the actual baking or cooking, but I love the eating. I think they want to do a cookie exchange at work. I will have to get my daughter to bake for me when she is home next week. That porcupine Christmas video is the best. Thanks for sharing! My co-worker and I went on a chain video watch after this one, and there are ton of great feel-good German shorts out there. I'm one hundred percent okay with an office party every week. I can never say no to food. =P That end of year Top Ten of 2018 seems quite interesting. I've been trying to find some ideas for my end of the year post, and perhaps I'll join it. Enjoy your new books. Just added The Arrival of Someday to my wislist. I like Jen Malone and Someday sounds great. I am excited about it. I hope you do some of the year end stuff. I am all about the end year love-fests. Your office sounds awesome. I’d want to have party food every day, too. I wish I was doing something special on my blog for December. I’ve been too busy with real life. I’m struggling to keep up with my regular posts. Have a great week! They froze my manager's budget. He used to get us lunch once a month for a combined celebration of birthdays and anniversaries, but now, we have to bring the food ourselves. My teammates are really generous, though, and the stuff they bring is great. I hope you were only miserable because you were eating too much and not because you were sad or mad or something else. Looks like you've got a good plan going to catch up on your older review books and finish up some challenges. Cheering you on, Sam! I am going to fail at AtoZ and 50 States. Me and the books I found are just not working out. I DNFed three this past week. But hey, I was close. These are not official office parties. Those don't happen where I work, but my team does little fetes all the time. We even have cook offs. The last one was cupcake wars and it was amazing. Old Boyfriends was fun. I will definitely give a listen to another book in that series. Tis the season for food all over the office. LOL We keep getting deliveries from clients and vendors and it all seems to be food. Crackers and cheeses, flavored popcorn, chocolates, cookies... gah! I love the sound of Kim's Top 10 of 2018... I'll definitely try to take part in that. And I've been hit or miss with Sophie's prompts. I think I've done about half so far. I love seeing everyone's posts and tweets, though. :) Oh my gosh, that commercial was absolutely precious. Loved it. I so miss the days of Margot and Aubrey doing the Book Shimmy awards. They were such a perfect pair. I hadn't heard about The Nightingale being adapted. I shall go with Kleenex in hand! I'll be interested to see what you think of Making Faces. I read it a couple years ago after owning it for ages. For some reason I had been expecting something super dark and I was convinced it would be a 5 star read. It wasn't quite what I was expecting and I think that ended up slightly skewing my opinion. I really liked it but it was more a 4 star read and not my favorite by Harmon. I have used Sophie's prompts as a guide, but I have not done them all. Sometimes I subbed in my own topic. I don't know if I could make it through the film version of The Nightingale. I still haven't mustered up the courage to watch Me Before You. Making Faces was a solid 4 for me. I think it would have gotten a higher rating had there been a little more levity in it. It was so sad. I cried so much, and then I sobbed, quite loudly at this one part. I was a hot mess, but the ending was good, and I did enjoyed it. I'm looking for a 2018 Wrap Up to use and the ones you have here look good. Must start working on that! I enjoyed Making Faces. It was really, really sad. Ending was strong, happy, and hopeful, but I actually had a headache from all the crying I did. I am too much of an empath for books like that. I cried so much reading Making Faces that I had a headache. The ending was sweet and I liked the interview extra Harmon gave us, but MAN! That was really, really emotional. When they were watching the towers fall, I was transported back to that day. I live about 30 mins from NYC and we lost over 40 family friends, so it was tough. And then that REALLY, REALLY sad part, nearer to the end had me sobbing . 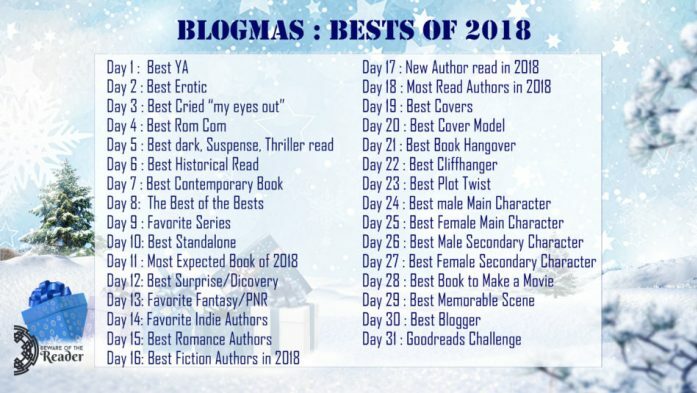 Thanks for coming up with prompts for Best Booksof2018! I am have fun spreading the love. I always post 6 days a week, and I don't have anything I have to post that week. It works for me and I love doing those posts. The office party sounds fun! 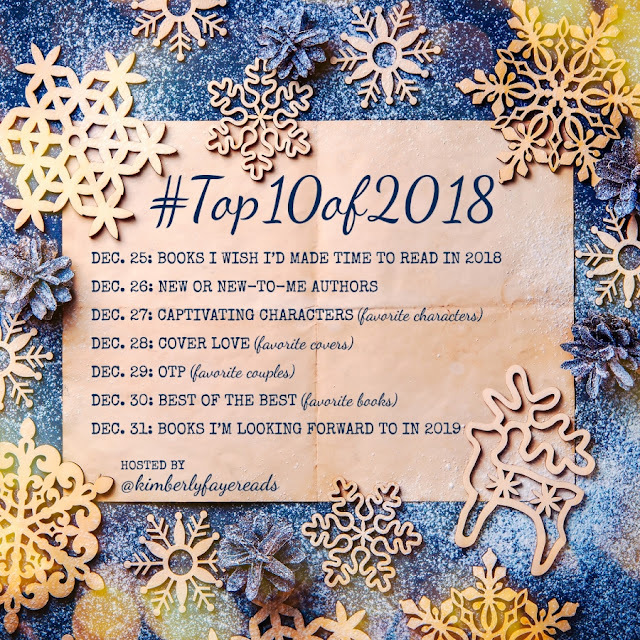 And wow, the year is ending, but you're still finding amazing books! Ooh, doing Blogmas on Twitter, that was a good idea. I'll have to try that next year since it seems fun but is just too many actual blog posts for me. I am all about the 2019 books now, but am actually ahead and can fit in some more backlist. Your office sounds so fun - mine is too small to do anything like that. Free food is always welcome. Yay for Emma Mills' books! I can't wait to read Famous in a Small Town! I work on a campus, and there are 8 buildings, but we only do parties within my group, which is about 23 people. It's not really free food, since we each bring something, but during tax season, they give us lots of lunches, breakfasts, and snacks. Famous in a Small Town is everything I wanted it to be. Loving it so far. My office also loves the food! If you want us to do something, you better bring food as incentive! Enjoy your week! We bring the food. My team is always doing a potluck or something, which is nice, but I am the only one, who takes mass transit, and it's a struggle bringing in bags of food. I usually "make" plates and napkins. Always fun to have a little celebration. Lots of retirements by you. I still have to read First & Then. I read them all backwards! But, I hope to get to it for the retelling challenge. Good luck on your exams!!! I need a good shot of happy, and I know Mills will deliver. I never win any giveaways, being an international the chances are pretty less that I ever will. But I will go and participate anyway. I try to do a few International giveaways each year. A lot of times, I am giving away my physical ARCs, and shipping is really expensive overseas (which we learned the hard way), but when I do book of choice, I use BD, so it's all good. 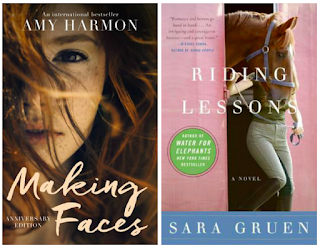 I've had Making Faces on my TBR ever since I read Amy Harmon's The Bird and the Sword which was a really enjoyable fantasy. Hope you end up loving Making Faces. Have a lovely week! Making Faces was really heartbreaking. I cried so much, I had a headache, but the ending was really sweet and joyful. Even the prickly guys need some lovin'. I just saw that porcupine video last night and cried like a baby, so I'm glad to hear I'm not the only one, lol. Me my work-neighbor was wiping our tears. She can be sappy like me, that's why I love her. I could totally get into working in an office with so many parties. It makes things a bit more pleasant. 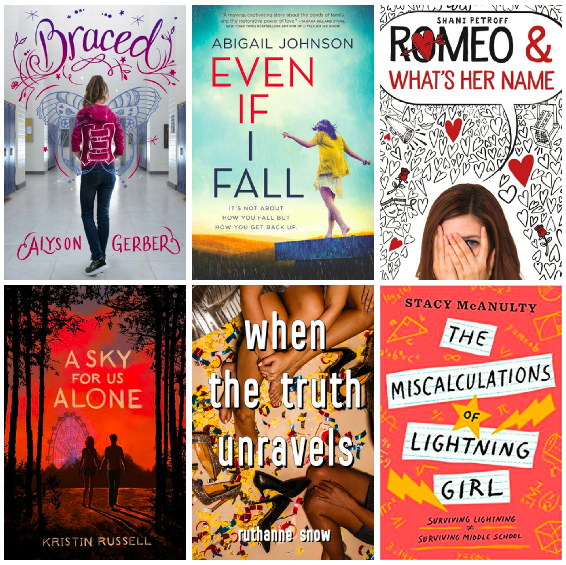 It looks like you added some great books this week and yay for getting to one of your oldest arcs. Have a great week! I do think I have a great environment to work in. So much better than the hostile workplace I came from (high school teaching). I can't believe I finally read Making Faces. No regrets. I've had three office parties this month, I guess we all want to party! I'll be reading Illegally Yours next, I hope it's good! I should be starting Illegally Yours today. I like Meader, and I enjoyed the first book, which I know was hit or miss for some. I miss working at an office for those kinds of days only. LOL. My work-mates do help dull the pain of my commute, because they are pretty great. Though, I would probably love it more, if it wasn't so far away. And have fun reading Making Faces. It was such a beautiful story, I really need to start another book by her! I find favorites lists so hard, but it's fun making them. Making Faces was really emotional, and the ending was great. I cried buckets. I have Moses, but still haven't read it, though everyone loves it. I think I will have to be in the right place, emotionally, to read it, because Faces gutted me. I keep trying to see if I want to read any of my really old one. There are a few, and I am glad I finally read the Harmon book, because I really enjoyed it. I think I did a whole week with my top 10's last year too. It's good, because it gives me time to read some tour books. That short was awesome, and adaptations are always scary, but they get them right sometimes.